We can draw - if we want to? Which openings have computers killed? Is it wait and see? A team of champions or a champion team? Forced mate with 2 knights?! Deciding the 2011 Chessexpress Australian Player of the Year was quite tough. There wasn't a dominant performance I could look at, but there were a number of fine achievements throughout the year. In the end three young players seemed to stand out. Firstly IM James Morris had a very good Bangkok Open early in the year, and then won the Australasian Masters at years end. FM Max Illingworth finished equal 3rd in the 2011 Oceania Zonal, scored an IM norm at the Bangkok Open, and then finished his European adventures with a GM norm in Hungary. However it is a third player I've decided to go with. IM Moulthun Ly started the year tying for equal first with GM Zong Yuan Zhao and IM George Xie in the Australian Open (after kind of tying for first in the Gold Coast International). He then tied for third on the 2011 Oceania Zonal, before embarking on the Northern Hemisphere chess journey. While overseas he picked up enough rating points to move past the 2400 mark and confirm his International Master title. So congratulations to IM Moulthun Ly for being the 2011 Chessexpress Player of the Year. The San Sebastian tournament, celebrating the 100th anniversary of the celebrated win by Capablanca, is trying a different format from most chess tournaments. In fact it is taking an existing format, the knockout, and modifying it to repair a perceived weakness. 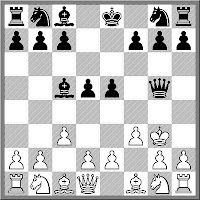 Having discovered that the player with the white pieces in the first game has a slight edge in progressing to the next round, the players are required to play both their games simultaneously. Two players, two boards, one with white, one with black. This way the advantage of starting with the white pieces goes away. Of course the drawback is that you cannot concentrate on just one game, and I suspect trying to manage two games at once may cause a new set of problems. But if you want to find out more about the tournament, and the format, Chessvibes has a comprehensive report of the first few days. Based on the rudimentary theory of Swiss tournaments, the first log2N rounds (where N is the number of players) are the knock-out phase, while the rest of the rounds are more like a round robin. If this is so, then the Australian Championships will be a KO until the first rest day (after round 5). However the first three rounds have been completed without anyone making it to 3/3, so the KO may need an extra round to deliver a sole leader. Two of the top board clashes were draw (IM Smirnov v GM Zhao and IM Ly v IM Wohl) while IM George Xie joined the leaders on 2.5 with a win over IM James Morris. There are another 8 players on 2/3, including a few who recovered from first round losses. In the Reserves tournament Ian Rout and Tony Davis are the only players on 3/3, and they play tomorrow. Another 12 players share third on 2.5, so it will be a few more rounds until a tournament favourite breaks clear. Visit the tournament website for links to various bits of tournament information, including standings, pairings, and game files. My post about sharing analysis from last week obliquely referred to the game below. As the game was still in progress at the time I could not show it, but it has since been completed, I can now post it here. Again I wheeled out the Sorensen Gambit in the Advanced French, aiming for a direct attack against the king. After move 11 I had ideas of sacrificing the knight on d5 and pushing e6, but 12.Qf3 was a little finesse that I found in a couple of previously played games. After that is was about bringing pieces into the attack with tempo, before another sacrifice (Rxc6) helped finish the game. The first round of the 2011-2012 Australian Championship has been played, with some of the top seeds already finding it tough going. Second seed IM George Xie drew with Domagoj Dragicevic, as did GM Daryl Johansen with Laurence Matheson. FM Bobby Cheng and FM Michael Steadman were the two players on the top half of the draw to drop full points, to Yi Liu and Jason Tang respectively. Top seed GM Zong Yuan Zhao had the easiest game of the round, due to communication problems. FM Bill Jordan had missed the deadline for entry, and applied late to play (apparently illness prevented him submitting an entry on time). Although his entry was accepted by the Australian Chess Federation, he was not informed of this, and turned up to the tournament an hour after the start to find he had been paired with Zhao, and had already lost the game. The tournament arbiters are posting the results and pairings for both the Championship and Reserves at chess-results.com. The links will take you there. At some point in my life I will make sure I am in England over the Christmas break, if only to play in the Hastings tournament. I suspect this won't be happening until I retire, so for now I continue to follow it from afar. This years tournament has 113 players (so far), with a large number of GM's. The tournament website proudly announces that they will be hosting the worlds first FIDE rated blitz on the 2nd of January, the day after the new FIDE regulations for Blitz and Rapid come into effect. If you wish to keep track of the event, then here is the tournament website. As for who will win, I think it will be a race between the top two seeds Yue Wang and David Howell, with victory going to the home town player. Chessbase is once again running its Christmas Puzzle competition. A few years ago it was a trivia competition (and the team of Rogers I., Rogers C., Dunn P. and Press S. managed to pick up a prize), while this year it is more of a problem solving quiz. The first set of questions, by GM John Nunn, have gone up on the Chessbase website, with new puzzles each day. For Australian chess players, there is also the regular Xmas quiz in the Australasian Chess magazine, written by myself. After the cruelty of last year (half the puzzles relied on breaking the laws of chess to find solutions), this years quiz is much more straight forward. However I already had one person tell me that one of the questions was too easy, based on an obvious, but incorrect answer. 'That is why there called puzzles' was my reply. Chess players are nothing if not committed. When I turned up this morning to run Street Chess one of the tournament sponsors expressed surprise that I was there. "No one will turn up" he said, "it's Christmas Eve". "Don't worry, I'm sure they will" was my reply. It turned out that 18 players decided to pass on last minute shopping to play some chess in the sun instead. The field included an IM, a WIM and an FM, making it a pretty strong tournament. FM Endre Ambrus won the tournament with 6.5/7, just ahead if WIM Emma Guo. It was also the last Street Chess for Alana Chibnall, who is moving to Sydney for work reasons. She has been a regular player for the last 5 or so years, as well as filling in as an arbiter when I have been away. She has certainly added a lot to Street Chess both as competitor and arbiter, and I wish her all the best in the years ahead. The 2011-2012 Australian Championship begins just after Xmas, on the 27th of December. It is being organised by the Geelong Chess Club and will be held in North Geelong, Victoria. This years event sees an emphasis on youth, with a number of junior players being allowed to play, despite their ratings falling below the nominal 2150 (ACF) cut-off. Top seed for the tournament, and my tip for the title, is GM Zong Yuan Zhao. IM George Xie is the second seed, and would both be keen to claim the title, and to push his rating over the 2500 mark (thereby confirming his GM title). One other player who might be in contention for first place, but not the title, is Indian IM Akshat Khamparia, who clearly enjoys playing in Australian events, after winning this years Sydney International Open. I'm assuming the official website for the tournament is the Geelong Chess Clubs own site, with the tournament details here. For some reason, the Australian Chess Federations own website does not seem to have a clear link to the tournament site, but if you click on the link related to PDA / iPhone devices you will get there. I've always assumed that games played under tournament conditions constituted an 'official game', even if a player subsequently withdrew from the event. These days it is pretty clear cut, as such games are submitted for ratings under most circumstances. In the days before ratings it may not be so clear. The reason I'm wondering about this is that I had some difficulty finding the Fischer v Stein game from the 1967 Interzonal. It is a famous game, and Fischer included it in his '60 Memorable Games'. But a couple of obvious database searches came up empty. I eventually did find it, but the fact that Fischer withdrew from the event may have contributed to my difficulty. Is it the case that a decision was made to expunge Fischer's games from the 'official' record? Without the requirement to rate it would certainly be an easy decision to make, but I've never seen any documentation on this. About a year ago I posted my ideas about what would make a good 'robot' chess player. This year others have put their ideas to the test by participating in a competition to see which robot arms can sensibly move chess pieces around the board. Based on the article it appears that work is still required before we see a completely robust solution to this problem. Nonetheless, what was described in the article fits in with what I think is achievable in the short term. In fact I am currently doing a little hacking with the Kinect system (used as a controller on the Xbox). While it is equipped normal camera it also has an IR sensor, which generates a depth map of the scene in front of it. Hopefully this may make identifying pieces on the board a little easier, as it is now possible to locate pieces in 3 dimensions. Although my correspondence chess activity has diminished somewhat, I still play the odd game on turn based chess servers (chess.com or chessworld.com). Generally it isn't that serious, although I tend to stick to team events, either representing PNG or Canberra. However I kind of get ticked off with the assumption that anyone who does well on these servers may be using computer assistance. When I won a couple of games on chess.com and had my rating go over 2000, I was sent a gentle reminder about the servers policy on computer assistance. I assumed it was a form letter that every 2000+ player gets, but I still found it kind of annoying. So thinking about this, I wondered if there was a way of reducing this level of distrust. One idea I had was for players to share analysis, while the game was in progress. For example I'm currently playing a sharp line against the French, and have just sacrificed a piece. Now I have no idea whether it will work or not (although I am following a game where white had an unconvincing win), but I would hate to think that my opponent believed there was some silicon assistance behind my move choices. To that end what I would be interested in doing is to simply say, 'here is my sacrifice, and this is what I've seen so far'. Note, this isn't the same as sending conditional moves in CC, as it might turn out that his reply reveals something new or different. Of course players could still 'game the system' by sending incomplete analysis, or use it to try and bluff their opponent, but I would be interested in seeing if such an 'open' game would result in better, and happier, chess. I swear I can remember reading about the chess career of the very recently departed Kim Jong Il. Or maybe it as his father Kim Il Sung. Any way the gist of it was that he was easily the strongest player in Korea and almost certainly the world, but affairs of state prevented him from playing more often. However I've come up empty on a source for this description. Am I imagining things, or am I thinking about someone else? Help from anyone with a similar recollection to mine would be appreciated! While a lot of chess takes place in our head, blindfold chess is still harder than normal chess, in that we aren't required to remember the position from move 1. Having the pieces in front of us makes it easier to analyse, even if we aren't allowed to actually move them. The recently held Minds Sports Games decided to fully test the players taking part, by holding a blindfold chess event. Given the popularity of the Melody Amber series of tournaments, I'm sure that most top GM's do take blindfold chess a little more seriously these days, as the following game shows. Giri tries an rare sideline in the Petroff's but gets hacked in a similar style to the refutation of Damiano's defence. I'm sure he would not have played it in a serious OTB game, but maybe he was hoping it was just offbeat enough to work at blindfold. FM Junta Ikeda has completed a hatrick of wins in the ACT Rapidplay Championship, with a win in the 2011 tournament. Starting as top seed, Ikeda was in trouble in the second round against Alana Chibnall after she was a up a queen for a rook. However a hint of counterplay from Ikeda somehow convinced Chibnall that a draw was the safe result! After that he scored 5 wins to finish on 6.5/7. In second pace was Ken Xie who dropped his only point to Ikeda. On the way to 6 points he defeated seeds 2,4 and 5. This years event attracted a field of 37. Evidence of its strength was the fact that IM Andrew Brown was only seeded 5th, although this may have been due to a somewhat out of date rapidplay rating. The prize giving ceremony also saw the awarding of FIDE title certificates to IM Andrew Brown, WIM Emma Guo, and FM Junta Ikeda. Two other Canberra players, FM Gareth Oliver and WFM Megan Setiabudi, will recieve their certificates at a later date. An interview with GM Ken Rogoff on BBC World Service. His bit is towards the end. To memorise the refutation of every opening system (assuming they even exist) is somewhat impractical. Given the finite space of the human memory, to do so would probably involve forgetting other significant pieces of information like your PIN or the address of your home. So all I ask for is to have a couple of simple systems that at least get me to the middlegame without to much pain. Even then their are still gaps, especially against less frequently faced openings. So to repair at least one gap, I've found a CC game that shows a fairly straightforward system against the Benko. It was played in 2001 and ended in a quick (especially for CC) win for White. I'm not saying it refutes the Benko, and the winner attributes part of his victory to the aggressive play of his opponent. But the idea of Nf3,Nbd2 and e4 with play in the centre seems sensible enough. Entries for the 2012 O2C Doeberl Cup are now open. The event will run from the 5th to the 9th of April 2012, and will once again be held at the Hellenic Club, Woden, ACT. The Premier has a prize pool in excess of $12,000 and the total tournament prize pool is over $17,000. The tournament website is www.doeberlcup.com.au and you can find all the tournaments details (prizes, schedule, entry forms, regulations) there. For those who want to play in the Premier, and have ratings just above the cut-off mark, you can enter now to guarantee your spot, even if your rating subsequently falls below the cut-off (payment is required to take advantage of this offer). Of course the fact that next year is the 50th edition of the tournament is an added incentive to take part. Hopefully the tournament will attract a record size field, with players (and officials) from the early years being encouraged to attend, if not as participants, at least as welcome spectators. Smithsonian.com has a little historical article about Paul Morphy. Most of it is the usual biographical fare, but with a greater emphasis on the impact that the American Civil War had on him, than I've seen in straight chess biographies. There is also a little story at the end which I was unfamiliar with. Long after he retired from chess Morphy needed $200 urgently, and went to see a friend for a loan. The friend instead offered him $250 to play him at chess, as a test to see how much he disliked chess. Morphy accepted the wager, albeit reluctantly, and then contrived to lose in short order. The sting in the tale was that Morphy then failed to collect the money! This of course is a predictive post, concerning the likely outcome of the 2011 London Chess Classic (although the results may be known when you read this). With one round to play Vladimir Kramnik holds a 2 point lead over Magnus Carlsen, under the 3-1-0 scoring system. The likeliest outcome is that Kramnik draws with Aronian and Carlsen beats Short, leaving both players on 16 points. Under the tie-breaks used for this tournament, this would be enough for Kramnik to take first place, as they both have the same number of wins (tie-break 1) but Kramnik has more wins with the black pieces (tie-break 2). BTW This is not the only scenario as McShane and Nakamura are on 12 points, and a loss by Kramnik, a loss or draw by Carlsen, and a win for McShane would leave him in front on tie-break (his 3 wins have all been with Black). And speaking of tie-breaks, the minutes from the recently completed FIDE Congress have been published , including the report from the Rules and Tournament Regulations Commission. The report contains a detailed explanation of various tie-break systems, including a recommended order for tie-break systems. Of course organisers are free to specify their own order, but if the LCC organisers had followed the recommendations, the order would have been: Direct encounter, No. of wins, Sonneborn-Berger, No. of games with Black, and finally Koya. I've noticed something interesting with top tournaments that have restrictions on agreeing to draws. In the early rounds of the event, there seems to be a number of decisive games, and the draws that do occur seem to happen well past move 40. Later in the tournament however, the draw ratio increases, and repetitions (or dead positions) seem to occur before move 40. Now I know the plural of anecdote is not data (and I've presented nothing to support my claim*) but I'm wondering if the 'effortless draw' is becoming part of the Super GM bag of tricks. Not the 'I will draw no matter what you do' style, but more the 'I'll head for a sterile but safe position, and if you want you can join me' kind of play. The quest to set get 'mind sports' recognised as the equal to 'perspiration sports' continues. The 2011 World Mind Games is currently running in Beijing, China. The 5 medal sports are Chess, Bridge, Go, Draughts and Xiangqi. While there are pretensions to set this up as a kind of Mind sports Olympics, the organisers have gone for quality over quantity, restricting the chess events to 16 male and 16 female players. However the chess is at least multi discipline, with Rapid, Blitz, Pairs and Blindfold medals on offer. While my son is off in Adelaide playing in the Australian Junior Masters, I'm relaxing back in Canberra, enjoying the cricket highlights. I've never been a fan of having coaches accompany players at junior events (not that I'm claiming to be his coach), and so the decision to stay home was a pretty easy one. However I've been following the event at figjamchess.blogspot.com. Utilising a live blogging widget, there have been a steady stream of updates coming from the tournament. The coverage is made more enjoyable by the involvement if the players themselves in the coverage, although some are more enthusiastic than others. I've even been sent a couple of games, providing me with a choice of what to show. While today's round 6 game between Harry Press and Allen Setiabudi was more significant in terms of tournament standings (a 12 move win by Allen left a 4 way tie for first), I've decided to be a caring parent by showing a win from round 4. I hope this act is remembered when Father's Day rolls around. When putting together the latest issue of Australian Correspondence Chess Quarterly I was asked to feature a game from the current Austria v Australia friendly match. Normally it is a simple task of going to the ICCF Webserver and searching for 'Australia', and then selecting the right match from the list of Australian events. It turns out that I didn't think about alternative spellings. As the match was organised by the Austrian side, I needed to think in German (as suggested by Clive Murden). If I had searched for 'Australien' or 'Osterreich' it would have come up in a snap. So the game will appear in the next issue, but for now here it is. On the 'Australien' side it is played by former Australian CC Champion Norton Jacobi, who took the poisoned pawn and lived to tell the tale. Canberra chess player Mos Ali has unexpectedly passed away, at the very young age of 40 years old. Mos, a school teacher by profession, died of a suspected heart attack on Tuesday 6th December 2011. While Mos was a typical 1700-1800 club player, he played an enormous amount of chess, frequently featuring on the ACF's Most Active Players list when new ratings were released. While Mos and I had our differences (over both personal and chess issues), his passing is a loss for the Canberra chess community, and to his wife and young family. The USCF website has noted the passing of Robert Feldstein. While he may not be that well known (at least outside the US) he was one of the more widely travelled players, something he himself was quite proud of. Apart from playing tournament games in every state of the United States he also attempted to play rated games in as many countries in the world. This was how our paths crossed, as he turned up at the offices of the Canberra Times in 2001, explaining to them that he was a travelling chess player trying to set a record for playing chess in the most number of countries. The only problem was that he did not have an opponent, at lest until the Canberra Times rang me up and asked if I could come over to play. We played one USCF rated game and a couple of blitz games. I'm pretty sure the time limit was G/20, which was slow enough to make the chess look sensible, but fast enough to cause both players to miss many far stronger moves than were played. In the end I missed a few absolute crushers, and went down in the ending. While there is an argument that the combined intelligence of a crowd can exceed the individual parts, I'm not sure the same can be said for twitter. As lead in to the London Chess Classic, a match between the players in the classic, and the rest of the world was played. The moves from the rest of the world were submitted by twitter with the GM team replying on the tournament website. The GM team won without too much difficulty, and even afforded the ROW a positional head start by playing the North Sea Defence (which Carlsen lost to Adams at the 2010 Olympiad with). A news story in the Sydney Morning Herald has the potential to leave a number of people with red faces. It concerns the Willathgamuwa brothers, Rowan and Kevin, who represented Australia at the recent World Youth Championships in Brazil. As a consequence of their absence from school, Sydney Grammar, they have been asked to look elsewhere for their education next year. Although I have directed a number of tournaments that the Willathgamua brothers have played in, I have no real knowledge of the issues involved in this decision. At best I can compare what appears to be the case with the attitude my children's school has towards their chessplayers. In my case, my son Harry is off to Adelaide to play in the Australian Junior Masters next week. As this involved him missing 3 days of school I made sure I asked his teacher before he was able to accept his invitation. Not only was the teacher OK with him missing the 3 days, he congratulated Harry on being invited to the tournament. Of course the school my kids go to 'walks the walk' where chess is concerned, as they have chess on the curriculum for 3rd, 4th and 4th grades, as well as offering it as an elective for years 6 & 7. But the best bit about this, at least as far as I'm concerned, is that my kids did not have to go on long waiting lists, or go through a testing or interview process to get into this school. That it is because it is the local government school, less than 300 metres from my house. So at least for my family, the local school was the 'right' school for us, not only for chess, but also for the overall quality of education. .
Half the field from the Tal Memorial is now off to London, to join up with 4 English players in the 2011 London Chess Classic. While a 9 player field might seem unusual, the organisers see 2 benefits. Firstly, the spare player for each round is being roped in to do onsite commentary. And secondly, each player will have an even split of whites and blacks. The field is Carlsen, Anand, Aronian, Kramnik, Nakamura, Adams, Short, McShane and Howell. Alongside the main tournament, a huge number of side events are also being organised. There is a Women's invitational round robin, a FIDE rated swiss, junior events, weekenders and rapidplays. The whole thing kicks off on Saturday night (Canberra time), with live coverage from the tournament website. As for tournament predictions I'll play it safe and tip Carlsen for the win, Anand to draw almost every game and McShane to play the most moves of anyone in the tournament. Next week sees Adelaide hosting the 2011 Lidums Australian Young Masters. This event has been running for the last few years, and is a round robin event for leading Australian junior (and slightly older) players. This year will see the Young Masters, Junior Masters and Girls Masters events, as well as a possible South Australia Junior Masters. Each event is a 10 player round robin, and the tournament will run from the 7 to 11 December. Although the tournament is being played in South Australia, 10 of the participants come from the ACT. IM Andrew Brown is the top seed in the Young Masters with WIM Emma Guo also in this event. 5 more ACT players are in the Junior Masters, and 3 in the Girls Masters. One player in the Girls Masters is Alana Chibnall, who warmed up for the event with this 19th century style game at tonight's ANU Summer Rapid. While the queen sacrifice is inventive, it wasn't quite sound, at least until her opponent pushed the wrong pawn in front of the king! As part of my real (ie non chess) job, I spent part of the year as a tutor for a Digital Media unit at the Australian National University. I was definitely on the Digital side of the course, rather than the Media side, as I struggle with the whole creative process. The students were required to produce assignments using the Processing language, which is well suited to artistic representation on a computer. Although the course finished a couple of weeks ago, a tie-in with chess came to my attention today. Kerry Stead told me about a web site that had a chess playing program that represented its thinking process in a graphical format. The site is turbulence.org and it uses a chess playing program to create images like the one on the right. The diagram is generated while the program is deciding on a move. 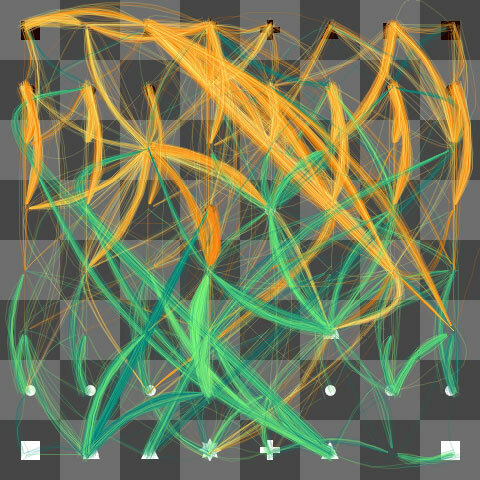 The lines indicate the moves it is examining (green for white, orange for black), and the stronger the move, the brighter the line. The creators confess that the program isn't that strong, but having a strong chess playing program isn't the aim of the website. There are a couple of other little graphical tricks on offer as well, but you need to visit the website to find out what they are. Three player chess. Inventive minds have worked for hundreds of year to make it work, but I'm not really sure what problem they're trying to solve. Anyway, there is another attempt at coming up with a workable solution, and if anything, it has a certain artistic appeal. It uses a circular board, a moat to separate the pieces, and lines to mark out the trajectories of the diagonal moving pieces. Of course the old 2v1 problem is likely to rear its head (any player in the lead is likely to be hacked down by a coalition of the other two), and I wonder how this is dealt with (if at all). I'll add it to my list of 'things that only look like chess' but it still may make a nice Xmas present, if only to leave on the lounge room table. Sixty-eight players (including a number of nervous adults) took part in the 2011 ACT Junior Chess League Transfer Championship. There were a couple of high powered teams (combined ratings over 3000) and number of semi-serious teams (including 2 dressed in cowboy outfits!) while the rest were just there to enjoy themselves. After 12 rounds three teams finished equal first, with 10 points each. On tie-break first place was awarded to the top seeds Emma Guo and Alana Chibnall, ahead of Harry Press and Michael Kethro, and Allen and Megan Setiabudi. The Setiabuid's picked up a consolation prize as best sibling team. This year did not see as many 'shady' tricks as last year, although there were still a couple of 'only in transfer' moments. A clash between two of the top finishers saw one player sitting on one board, facing disaster if they moved, while there was a perpetual on the other. So the partner of the sitting player was forced to accede to a 50 fold repetition while her opponent waited until the sitting player had lost enough time to allow him to sit as well! The other strange thing was there were at least 5 drawn games, in a version of the game where draws are all but impossible.A couple were due to double flag fall, at least one to a simultaneous mate v illegal move claim, and the rest due to confusion about what was going on in the game, leading to the arbiter making a ruling that resulted in the least amount of crying. While the use of increments in serious chess tournaments has cut down the number of draw claims by 'insufficient losing changes', in more casual events they still crop up. I had an interesting case at Street Chess today. The position on the board (accurate as far as my memory allows) was reached with White having about 2 minutes on the clock and Black having about 5 minutes. White had previously offered a draw but Black decided to play on for a while, given the advantage on the clock. 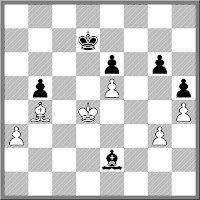 Barring any real stupidity the position is a draw, with White simply moving the bishop between b4 and d6. However rather than doing this as quickly as possible, as a simple way of showing Black that further play was pointless, White took between 5 and 10 seconds over every move. Not only that, but he was also made the king move in the direction of the kingside pawns. Eventually Black called me over and asked if it would be 'unsporting to win on time in this position'. (White at no stage tried to claim a draw btw). I said it was up to him, and he offered a draw to White (who would have had less than 30s on the clock) which was accepted. After the game I suggested that if White had wanted to claim a draw under 10.2 he would do well to try and move a little bit faster than he did in the game, and to try and not give the impression he was playing for two results by lunging towards his opponents pawns. The point being, if this had been a game where White had claimed a draw under 10.2, but had moved as slowly as he did (more than 5 seconds per move) I would have had no problems in disallowing the claim, even if the position had not substantially changed after White lost on time. The Tal Memorial finishes tonight and it has revealed at least one thing to me. Previously I suggested that double round robins encouraged more conservative play than single round robins, in that players were happy to draw with Black and then fight against the same opponent with White (or course their opponent is probably using the same strategy). However the gathering of 10 of the worlds top players has seen just as many draws, if not more. After 7 rounds there were 5 players tied for first on +1, and in round 8 only Aronian v Svidler was decisive. Of course most of the draws were still pretty hard fought (No draw offers before move 40 is a tournament condition), but lack of decisive games in the later half of the tournament indicates, well, something. Probably the outstanding result in this regard is Viswanathan Anand's +0=9-0 result. The normal explanation is that he keeps his powder dry for upcoming World Championship matches, but I'm sure Tigran Petrosian is smiling somewhere in the afterlife! Here is his final round game against his upcoming World Championship challenger Boris Gelfand. I've played most gambit openings in my time, but one I've not really tried is the Belgrade Gambit (1.e4 e5 2.Nf3 Nc6 3.Nc3 Nf6 4.d4 ed 5.Nd5). It popped up on my radar when I saw it played at last weekends Vikings tournament, but even then I had to wrack my brain to remember what it was. If my memory isn't failing me, I'm pretty certain it was popular in the 1970's and 80's, even at the top level. However I haven't noticed it so much these days, even with the current fad of digging up old and overlooked lines. So I'm wondering whether it has fallen out of favour due to 'engine disapproval' . Has the march of the machines dealt it a death blow, or is there some other reason why I'm not seeing it. But if it has faded away due to computer improvements, are there any other openings that have suffered a similar fate? For those that find chess too easy, the Australian Go Championship is being held in Canberra this weekend. It is being organised by the Canberra Go Club, which usually meets alongside the ANU Chess Club on Wednesday evenings. The event is a 6 round swiss, with an Open and Handicap division. It is being held at the Canberra School of Art (at the top of Childers St), in the same room that the ANU Open is usually held. It beings at 10am on Saturday (26 November) and runs for 2 days. Further (brief) details, including a contact email for the tournament director, can be found at the bottom of this page. The ACT Junior Chess League is holding its end of year Transfer (Bughouse) tournament this coming weekend. This is the traditional ending to the junior chess year in Canberra, and is always an extremely popular event. Last year there were 32 teams taking part, with the Setiabudi's (Allen and Megan) taking out first place. The event is being held on Sunday 27th November at Campbell High School, Trealor Crescent, Campbell (next to the War Memorial). Registrations close at 12:45 pm with the tournament running from 1pm, with prize giving at 5pm. Entry is $20 per team, and is open to players of ALL ages (yes even adults can play). The rules for the tournament are described here. The main thing to note is that it usually played without 'drop for mate', but this rule has sometimes been overturned due to popular demand. I suspect the day of the tournament book is coming to an end. While there have been a couple of very good exceptions to this rule (San Luis, From London to Elista), most players prefer instant coverage. Sometimes such coverage is provided by the organisers themselves, in other cases it is a third party doing the commentary. Due to the late evening finish, I normally pick up the results from the Tal Memorial in the morning. The added advantage of this is that there is normally rudimentary commentary on how the game went. For example the round 3 game between Kramnik and Carlsen was described by one young GM as a 'ridiculous game'. Now I don't know how firmly his tongue was planted in his cheek when he typed that, but it certainly had an odd look about it. Another observer even commented that Carlsen was 'the reincarnation of Steinitz' as he had retreated his pieces back to their starting squares. But even the extra tempo and masses of space, Kramnik was unable to convert this into anything meaningful, as a draw was the final result. Why this is so is still not clear to me, given the number of 'rules' that Carlsen broke. I might have to wait until someone writes a book on the tournament too find out! FM Junta Ikeda has added another Vikings Weekender title to his collection, scoring 6/7 to win the tournament by half a point. The key to his victory was his round 6 game against IM George Xie, which was decided in a familiar fashion. Short of time (down to his last few seconds on more than 1 occasion), Ikeda had to defend against a very strong attack from Xie. However as the attack began to falter, Ikeda improved his position and eventually went on the counter offensive as Xie's clock ran down. Eventually Ikeda won material, and caught Xie's king in a mating net. In the final round Ikeda played IM Vladimir Smirnov and a draw gave Ikeda first place, while Smirnov took a share of second. Along with Smirnov, IM's Andrew Brown and George Xie also made it to 5.5/7. Curiously for a weekend event most of the rating group prizes were decided by games between opponents within the same rating group. Wins for Mos Ali, Milan Grcic and Willis Lo gave them a share of the Under 1800 prize, with Lo also being the best placed junior. Other players with good performances included Canberra juniors Fred Litchfield and Jamie-Lee Guo (both prize winners), while Greg Melrose showed he still knows his way around the board, scoring 5/7. The tournament itself was a delight to run with the Tuggeranong Chess Club (Glenn Ingham, Matt Radisich and Jim Flood) doing a fantastic organisation job. Final results from the tournament can be found here. The first day of the 2011 Vikings Weekender saw 4 very tough rounds, at least for those who resisted the temptation to take a bye in the evening round. IM Andrew Brown is the only player with a perfect score, half a point ahead of FM Junta Ikeda, Blair Mandla and IM George Xie. Local player Steven Sengstock created a sensation the 2nd round by holding Xie to a draw. Bishops of opposite colours frustrated Xie's attempts to find a win in the ending. Round 2 saw the interesting Smirnov v Smirnov pairing, with a draw agreed as most of the pieces disappeared from the board. Former Australian Junior Champion Greg Melrose returned to the tournament scene with 3 straight wins, before going down to IM Andrew Brown in the 4th round. As a result Brown is up against top seed Xie in the 5th round, while Mandla and Ikeda meet on the second board. Further down the list there a number of interesting games, non more so than the Setiabudi v Sidiqi games which resulted in the position shown in the diagram. A draw was agreed soon after. A crosstable from the event is available at https://sites.google.com/site/chessatanu/home/current-tournaments/2011-vikings-weekender while the round 5 draw is available under Current Announcements link on that page. In sacrificing the exchange two things are important. The strength of the minor piece removed, and the strength of the minor piece that remains. I learned this the hard way in an online (turn based) game. Trying my usual 'mate down the h file' line against the Pirc, I got hit with a sac on c3 and was quickly in trouble. My opponents knights danced around the middle of the board, and after the timid Rhf1 I lost my material advantage, and the game soon after. A last minute reminder for the 2011 Tuggeranong Vikings Weekender. If you are planning to play, you need to enter by tomorrow to be included in the draw for the first round (late entries will be paired after the start of round 1). At this stage there are just over 50 entrants, which indicates a larger field than last years 55. Top seed is IM George Xie, with IM's Vladimir Smirnov and Andrew Brown also playing. One interesting entry is Greg Melrose, who was Australian Junior Champion in 1972, but who hasn't been on the tournament scene for a while. The tournament is being held at the Tuggeranong Vikings Rugby Union Club, Ricardo St, Wanniassa, ACT. It is a 7 round event with a time limit of G60m+10s per move. First prize is $1000 and the total prize pool is expected to exceed $2700. Full details of the event, including an entry form are here. The 2011 Tal Memorial has just started in Moscow. This 10 player round robin has an average rating of 2776, a category 22(!) event, under the old scale. To put that into perspective, the score for a GM norm is 2.5/9 while 1.5/9 will earn you an IM norm. With a field of this calibre, every round is going to have some fantastic match-ups, but Aronian v Carlsen in Round 1 (a world championship match I'd like to see), and Gelfand v Anand in round 9 (a world championship we will see) look particularly interesting. The tournament website has both live coverage, as well as live video and commentary. At this stage I've only been able to find the Russian version (is there any other? ), but this hasn't cause me any difficulties. I'm going to highlight a second Gawain Jones win in as many days, although it is not as fast as yesterdays game. The reason for the this one isn't because Gawain is a nice guy (which he is), or that he plays for White Rose in the 4NCL (managed by my friend Rupert Jones), but because this win ended an undefeated run by Bogdan Lalic which was rumoured to have lasted more than 150 games! Funnily I'd read in the latest issue of British Chess Magazine that in maintaining such a streak, Lalic was burdened with 'protecting' it, which meant he focussing on not losing, rather than winning. Clearly this was an important stat for Lalic as he did not take the loss well at all (Facebook was where the subsequent tantrum was played out!). From the files of "Why don't they play that against me?" comes a game from last weekends 4NCL round in England. GM Simon Williams tried an opening system against GM Gawain Jones, a system which owes an awful lot to the 4 move checkmate. It backfired horribly and Williams was lost after around 12 moves! The ACT Junior Chess League run a number of weekend events at the Campbell High School in Canberra, Australia. It is nice roomy venue, located close to centre of the city, and right next to the Australian War Memorial. The ACT Under 14 Championship was being held there this weekend, but under slightly different circumstances. Soon after the tournament began a number visitors appeared, inspecting other buildings in the area. It was also helpfully suggested we move out cars from the school car park. Then on Sunday a number of workmen turned up to engage in a very rapid, and noisy, beautification project. Now while I'd love to say it was because of the chess tournament (and if it was I'd tell them to quiet it down a bit), I suspect it may have more to do a certain visitor who is scheduled to make an appearance this coming week. As for the chess, Stuart Mason won the event in a playoff against Michael Kethro. Mason's win was built on the ability to hang on in difficult positions, turning 3 games on the second day where he was clearly worse in 1 win and 2 draws. A couple of lower rated players also had excellent tournaments with Michael Searle and Donghoon Shin scoring big upsets against a couple of top seeds. The players at Street Chess continue provide sources of amusement. Today was a good example, with a dramatic last round game on the menu. Milan Grcic was one of 4 players tied for first, all on 4.5/6. His last round opponent was Mos Ali on 4. Two of the other players on 4.5 were playing each other so the odds were pretty good that someone was going to get to 5.5. Under the circumstances it was hardly surprising that last round nerves might play a part in the result. Indeed when the round started both Grcic and Ali were still finishing up a conversation, away from the board. After a few minutes the game began in earnest. Fortunately for Grcic he was able to handle the final round pressure a little better than Ali, and found a neat checkmate in 4 moves. This moved him up to 5.5, and as only one other player in the leading group was able to win, enabled him to take home $37.50 as part of his shared first place. As for Ali, his unfortunate loss left him stuck on 4 points, and out of the money. What happened over the last few days in the Cricket match between Australia and South Africa reminded me of the last game of the Steinitz - Chigorin World Championship Match in 1892. A win for Chigorin in game 23 ties the match at 9-9, and he built up a clear advantage by move 31. However on move 32 he plays the worst move in the position and allows Steinitz a mate in 2. 10-8 to Steinitz and the match is over. The most stressful part of being a tournament organiser is often waiting to see how many people will actually turn up. These days a lot of tournaments try and speed up the entry process by offering discount for early entries, but even then a lot of entries still come in at the last minute. I assume the main reason for this is simple procrastination on the part of most players. They always intend to enter, it is just that haven't got around to it just yet. However their are some players who either see how the field is shaping up (strength wise), or simply want to make sure that the field suits them (from a personality point of view). What seems to happen more and more is that early entries come from the top end of the field, with the more casual players entering late. Even small events like the upcoming Vikings Weekender already have 3 IM's (Xie, Smirnov and Brown) and 1 WIM (Guo) in the field, although only abut 50% of the expected field have entered. And big events like Queenstown have titled players making up more than 20% of the field. So I'd like to make a plea to the run of the mill weekend chess players. Entering early helps the organisers (in reducing stress), encourages other to enter, and most importantly, shows respect to the titled players who have committed to playing the event. The European Teams Championship is once again demonstrating that a team of champions isn't always equal the sum of their parts. The Russian team is again finding it hard going in a teams event, tied for 11th place after 6 rounds of the 9 round event. They are not alone in under-performing, with second seeded Ukraine tied for 15th place. On the other hand the Romanian team are a full 16 places ahead of their seeding, currently sharing first place with Azerbaijan and Bulgaria. Round 7 sees them in with a chance to hang on to the lead as they are downfloated to play Germany, while Bulgaria and Azerbaijan battle each other. Lurking in the wings is the always dangerous Armenia, who bounced back from an early loss to Azerbaijan to sit a point back from the leaders. I'd normally mention live coverage etc at this point of the post, but apparently their have been problems with the game transmission and records. A lot of the coverage I've seen have warned that the game score may not be accurate, especially where double blunders seems to have occurred, or a player has resigned for no reason. It is a fairly rare thing for an Australian chess club (or association) to have its own premises. There are some clubs that lease buildings for their chess activities but as far as I know, the Melbourne Chess Club is the only club that owns its own building outright. This was in no small part due to Arnolds Rudzitis, who left his house and other property to the club in his will. It has been more than a decade since I last visited the MCC, but going by the story in the Melbourne Leader, it looks as though the club is in good nick. The story also includes a video segment showcasing the club, and interviewing young arbiter Jack Hughes. The tactical idea of taking advantage of a bishop on g4 by playing Bxf7+ and following it up with Nxe5+ barely earns the title of 'sacrifice', especially as it turns up time and time again. I've lost count of the number of times it has happened in my games, but there are still players who fail to see it coming. The latest incarnation of the idea occurred in one of my online games that finished recently. A misplayed King's Gambit by my opponent turned into a tactical rout once his king was dragged around the board. Preparations for the 2012 Queenstown Chess Classic are coming along nicely, with a very strong field already shaping up. At the cut-off for early entries there were 11 GM's, 2 WGM's, 6 IM's, 3 WIM's, 8 FM's and 4 WFM's. In the coming weeks I'm sure this number will grow, as will the overall entry numbers. Full tournament details, including the current list of entries, as well as travel and accommodation options are available from the tournament website. Over the last week or so I've been playing with a few gizmo's, and a few new ways of doing things (new to me anyway). The first toy was a new video camera, which I hope to use to make videos of tournaments etc. I tested it out a Street Chess today, and you can see the results below. While working on the editing of the piece (10 or so minutes down to 45 seconds), I ran across the speech recognition software that comes with Vista. It has been a couple of years since I did anything with speech recognition (I built a conversation system for a robot a few years back) but I thought I'd give it another shot. It seems to work ok, but what I tried to get it to do, is to input games into Chessbase by reading the scoresheet. Sadly this failed on two levels. The first is that I have yet to work out how to get the speech recognition system to understand basic phrases like "e2e4". The second is that Chessbase has very limited support for keyboard input, which is necessary to enter the moves from the speech recognition system. The other area I've been investigating is Google+. In a sense this is just a different type of Facebook, but it has the benefit of not actually being Facebook. What I hope to use Google+ for is for simple video conferencing. It supports conferences of up to 10 people, which may make some of my chess admin work a little easier. I'm also keen to try and use it to do live tournament reports, as well as things like arbiter training. My 11 year old daughter expressed an interest in seeing "Bobby Fischer against the World", but it turns out she is not allowed to. The film is classified as R18+, but not because it features a picture of a naked Fischer in the shower, but for a more bureaucratic reason. As the film is being shown as part of a Film Festival (the Canberra International Film Festival), it does not have go through the normal classification process. The flip side of this is that films that are unclassified are restricted to viewers 18 years and older. So for now my daughter misses out on seeing what all the fuss is about, but I'm pretty sure it will soon come out on DVD, and the classification will be somewhat lower than R.
The very strong European Teams Championships is starting in the next day or two in Halkidiki, Greece. As with most European events it is very strong at the top of the field, with 4 teams (Russia, Ukraine, Azerbaijan, and Armenia) having a rating average over 2700. Out of the 38 teams in the open section, only 4 have an average rating below 2400! Having extolled the beauty of games like Steel v Amateur (Calcutta 1886) I'm always interested in seeing games that follow the same opening variation. Today I came across Chigorin v Mortimer from 1900, where Chigorin (like Steel) was happy the rest his king on e2, before marching it up the board and out of trouble. Unlike the game from Calcutta, where Black missed a drawing resource at the end, Chigorin seemed to have it pretty much under control, at least from move 10 onwards. One thing that was passed at the recent FIDE Congress was fees for Arbiters. Not fees that Arbiters receive, but the fees arbiters have to pay to receive their accreditation. The full fee schedule (and associated regulations) are over at my other blog. I am in two minds on this one. While on the one hand other titles (IM, IO, FIDE Trainer) require a fee to be paid, and this just extends this to IA/FA titles, on the other, FA/IA titles could be considered somewhat different. As IA's and FA's facilitate the holding over events that bring FIDE income (via rating fees), FIDE are in a sense biting a hand that feeds them. Now it may not seem much of a distinction (especially as the same argument can be made for the IO title), but an organisation charging its own officials does seem a little odd to me. The fees don't come into effect until the 1st January 2013 and there may be a little tweaking before then, but the bottom line is that from that date, only paid up arbiters can direct FIDE rated events. Following on from yesterdays post, I realise I must have met IM Herman Grooten, without remembering it. Rupert Jones reminded me that Grooten played board 1 for the Dutch Antilles in the 2008 Olympiad, a team we (PNG) played in the 3rd round. Grooten beat Stuart Fancy on Board 1, while Rupert drew on board 3, and Craig Skehan lost on board 4. As for me I managed to win against Marvin Dekker, but not before a few moments where I was worried I would go down in history as a player who lost to 1.Nh3! I've purchased a couple of books recently, including "Chess Strategy for Club Players" by Herman Grooten. While I have yet to work my way into the book (let alone through it) I did discover an amusing story (which came via Time Krabbe) from the 1953 Candidates Tournament. In the diagrammed position Najdorf decided to end the game with 1. ... Rxf4+ 2.Kxf4 Rxg7 3.Nhxg7+. He apparently thought this was quite amusing, but for some reason Kotov, his opponent, played on. He asked Kotov why he was playing on in a theoretically drawn position. Kotov then informed him someone in Tbilisi had finally found a way to win this difficult position! It was only after the blood had drained from Najdorf's face did Kotov let him in on the joke by offering a draw. Given the scarcity of serious chess players in Australia (3000 to 4000 in a population of 22,000,000) it is always surprising to hear chess being discussed away from the chess environment. While catching the bus home from work the other day I began to hear fragments of a conversation taking place a couple of seats behind me. "Queen went here", "this one moves diagonally", and "I took this guy and he couldn't take me back". It seems that someone was explaining the rules of chess to his girlfriend, I assume using his iPhone (or similar device). The conversation seemed to be going ok until the topic of pawn moves came up. "So the little guys get to move 2 squares on their first go, but only 1 after that" asked the girlfriend. "Yes" was the reply. "Well that's stupid isn't it" she continued. But the last word went to the boyfriend. "That's 2000 years of chess rules you're bagging out there". And the conversation then drifted on to other topics. The documentary "Bobby Fischer against the World" was shown as part of the Canberra International Film Festival, and I went along to this evenings screening. As a chess player I guess I would appreciate the subject matter more than most, but as a documentary it was still quite good. I was particularly impressed by the amount of direct footage they had of Fischer, and I thought the use of music throughout was a very good. In terms of the people they interviewed for the documentary IM Anthony Saidy was the real star (at least in my eyes), while the late GM Larry Evans was also a wealth of information. Chief Arbiter of the 1972 World Championship Match Lothar Schmid was also interviewed, revealing a somewhat physical approach to his arbiting duties. If I had to have a criticism of the film it was that it didn't cover Fischer's post 1972 life in great depth, although I guess source material for that period would have been difficult to find. However it did manage to include film of him after he moved to Iceland, which I was surprised to see, given his normal hostility to the media. There is another screening of the film on November 5 at 2:15pm at the National Sound and Film Archives, so if you missed tonights showing, I would recommend getting along to that session. In this earlier post I mentioned the Ian Rout theory of 'handedness'. Buried in this report on a couple of studies on what makes someone good at chess is another measure of handedness. The statistic quoted is that 18% of chess players are left handed, as opposed to about 10% found in the general population. Now as a right hander I'm not really sure of the significance of this, but I am sure that left handed chess players will be able to explain it as some sort of evidence for the innate superiority of left handers. Chessdom is carrying the news that GM Ghaem Maghami (Iran) has been excluded from the Corsica Masters after refusing to play FM Ehud Shachar (Israel) in the 4th round of the tournament. Maghami requested a different opponent, but the organisers refused to change the pairings, and stated that Maghami had entered the tournament in the knowledge that there were 5 players from Israel in the field. Seems like a pretty straight forward decision to me, although in other events (eg last years Olympiad) organsiers have let the forfeit stand, but have not disqualified the player from the tournament. This of course may now open the floodgates in terms of scoring extra points off Iranian GM's. A well timed "Shalom" as you go to shake hands may result in a surprisingly quick victory, as well as eliminating a potential rival for the top prizes. While there is a book with the title of "Chess Mastery by Question and Answer", this is not what I am interested in. What I am thinking about is whether choosing the best move in each position can be achieved by answering a set of questions. CJS Purdy certainly recommended this approach in a number of articles he wrote, and I have seen variants on his system over the years (including some without attribution). As the definition of 'best' cannot be made without calculation, I think any set of questions would at least give us some candidate moves, which would then be examined. and I am sure there are some more obvious (and less obvious) ones. So to expand my list, feel free to describe questions that you consistently ask when deciding on a move. I would be especially keen to hear from strong players on this topic. Here is the miniature for the month of September 2011. It shows a useful line against 1.b3, although the real mistake for White was 7.d5 (clearly missing 8. ... Qe7+). The game is courtesy of Chess Today, which just celebrated its 4000 edition! The other night I witnessed a 2RvQ ending. I normally assume that the 2 rooks have an advantage over the queen (2 attackers v 1 defender is the equation). However the player with 2 rooks sometimes has to watch out for mate tricks, and this is what happened in the game in the question. A king on the wrong square allowed a mate in 1. So to balance the scales, a little study to occupy you over the weekend. White to play and win. While "Bobby Fischer Against the World" has being doing the cinema circuit elsewhere in the world, it is only now coming to Canberra. It is one of the films that makes up the Canberra International Film Festival, which begins next week. There will be two screenings of "Bobby Fischer Against the World". The first will be on Thursday 27 October at 6:15pm, with the second on Saturday 5th November at 2:15pm. The screenings will be at the National Film and Archive's ARC Theatre. More details (including ticket bookings) are available here. When FIDE first released the agenda for the 2011 Congress, there was much consternation about proposals to license chessplayers, as well as increase the rating fees for tournaments. Most of the comments on this issue (not so much here but elsewhere) came from the 'FIDE is stupid and corrupt' point of view, and assumed that just because the proposals had been suggested, they would certainly be accepted. At the time I pointed out that such proposals could be (a) made by anyone and (b) they needed to be voted on (at a number of different levels) before they would be approved. Of course for this to process to work, it did need federations to participate in the discussion of these issues, especially if they did not support them. As it turns out, this is pretty much what happened. A number of Federations either wrote public letters (eg the Dutch Federation) or private letters (eg the PNG Federation), on the issue. Now I'm not privy to how many Federations raised objections (or supported) the proposals, but word from the FIDE Congress is that they did not even make it to the Events Commission, having been pulled from the agenda. So what worked in this case was using the system as it was intended, rather than throwing hands in the air and claiming 'nothing could be done'. From coolest-gadgets.com comes a story about another kind of speed chess. Instead of using a clock, pieces moulded in ice (using a special ice tray) are used, with the obvious idea that you can only move pieces that haven't melted. But while it may be a fun party-piece, there is one drawback. Unlike chess clocks, pieces from both sides should melt at the same rate. So it doesn't matter how long one player thinks, as both armies move closer to elimination. In fact it may be an advantage to move as little as possible, to avoid body warmth speeding up the destructive process. But like chocolate chess pieces and alcoholic chess, the idea isn't to play serious chess with such itms, but to simply have fun. So maybe the best approach is to have your opponent eat every piece of theirs that you capture, and the player that collapses with brain-freeze first, loses. "It's all above the neck" is a saying sometimes used in sport. Obviously this is totally true in chess, but not just for calculation. Attitude is also a factor, especially when you bring the wrong one to a game. Sometimes I'm in the mood for a little experimentation, but this only seems to happen when I've already managed to lose a couple of games. Such was the case at Street Chess last week, when I decided to go for an Italian-Latvian hybrid against WIM Emma Guo. As the headline states, it did not go well. I'm at a bit of a loss at the moment. Australia lost the semi final of the Rugby World Cup today, but I'm struggling to identify the specific thing that the referee did wrong that caused Australia to lose. Can anyone help me out? I'm sure in that sometime in the future this game will become a staple of various instructional books. What exactly the those books will be teaching, is at this stage not so clear. It certainly has some exciting sacrifices, some stoic defensive moves, a fairly technical ending, and in the end, both players got half a point. For now it is entertaining, so feel free to click through the moves. Do people do the 'post-mortem' any more? While it still happens at weekend chess events, has the club post-mortem fallen victim to the accelerated pace of modern life? When I first started playing chess, analysing your games with your opponent was a significant part of the learning process. These days the post-mortem happens at home, with the computer, and the exchange of ideas often occur the following week, when players compare analysis. While I can't speak for anyone else, I'm sure this approach hasn't helped my chess an awful lot, and has instead encouraged my natural laziness, resulting in a slow but steady loss of form. So to reverse this trend I might try and get back into the habit of analysing with my opponent after the game (especially when I lose). Hopefully it will result in an improvement in my results. Magnus Carlsen has win the Grand Slam Masters for the 4th time, after beating Vasilly Ivanchuk in a 2 game blitz playoff. The two had tied for first after drawing their round 10 games. Aronian, Nakamura and Anand tied for third, with Vallejo Pons finishing 6th. From a spectators point of view it was one of the more watchable tournament in recent times, with a little more than 50% of the games being decisive. There are couple of theories for this, with the 3-1-0 scoring system once again being a popular explanation. However I think there are two other reasons for the high(-ish) number of wins. One is that 9 of the 16 decisive games involved Vallejo Pons (+3=1-6), who as the bottom seed was likely to have a bulls eye painted on him by the other players. The second is that having 40 moves in 90 minutes with no increment as the first time control meant a return to old fashioned time scrambles. And as the Sofia rules on draw offers were in operation, the payers couldn't bail out with a draw offer if they were behind on the clock. The 2011 Vikings Weekender is a little over a month away. The third of the Canberra weekend tournaments is once again being held a little earlier this year, in part to avoid the clash with various xmas activities. It is on the weekend of the 19th and 20th of November, at the Tuggeranong Vikings Rugby Union Club, Erindale. This year sees a guaranteed first prize of $1000, with the other prizes dependent upon entires. There will be 7 rounds, and the time limit is 60m+10s per move. Full details of the tournament can be found here, including a link to the online entry form. The 2011 Grand Slam Masters saw a strange set of results in Round 9. World Champion Viswanathan Anand was snapped in 25 moves by Lev Aronian, Carlsen caught Ivanchuk by scoring his second win over him, while Nakamura found a bizarre way to lose to Vallejo Pons. Nakamura did not one, but two foolish things in his game, firstly by asking the arbiter if he had reached move 40, and then getting up to get a drink, rather than moving. This might not have mattered if he had actually played 40 moves, but as he had only played 39 he lost on time while getting his refreshments. He claimed, in his post game protest, that the arbiter had indicated he had reached the time control by nodding, but as no one else saw this, his protest was rejected. The final round is to be played tonight with Carlsen and Ivanchuk sharing first place. Carlsen is black against Nakamura, while Ivanchuk is white against Aronian. If they finished tied for first there will be a blitz playoff for the title. Having highlighted the Kasparov v Short video in yesterdays post, I cam across another source of online videos today. Kerry Stead has his own blog, melbournegamescoach.blogspot.com There are two things that make this different from most chess blogs. Firstly it has a number of videos that Kerry has made himself, and secondly, it covers the other thing that Kerry is quite good at, poker. He has produced a couple of videos of his games from the recent Ryde-Eastwood tournament, as well as a couple of poker videos. He has also promised to produce a video series on the evil 'Broken Arrow' variation of the Modern ( 1.e4 g6 2.d4 Bg7 3.Nc3 c5 4.d5 Bxc3+). As I have found this one of the more annoying lines to face as white, I'm certainly looking forward to it. The chess nostalgia circuit rolls on, with Garry Kasparov and Nigel Short reliving past challenges by playing an 8 game blitz match in Belgium today (which also happens to be my birthday). It is being organised by YourNextMove, which is a Belgium foundation that aims to promote chess in the 6 to 12 years age group. The event website will have video coverage and commentary of the match. If you can't get out of bed early enough to watch the games, or find that you are reading this on Monday morning at work, you can watch the two players go around some 24 years ago. Lev Aronian continues to impress me with the games he is playing at the Grand Slam Masters. While he hasn't managed to catch Ivanchuk (who holds a big lead), it isn't for want of trying. Against Carlsen he tried an old idea of Botvinnik with 9.h4. 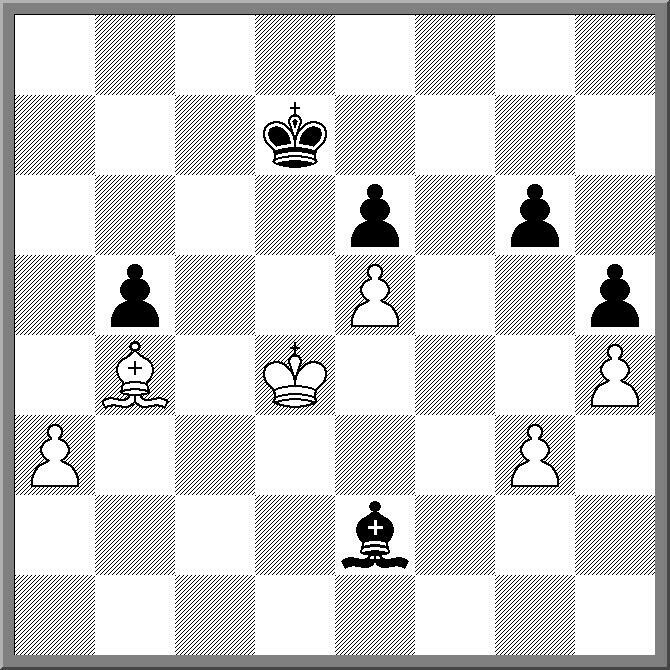 This indicated an attack against Carlsen's king, who went for counterplay in the centre. I suspect it then came to who could calculate the furthest, and with neither player making any sort of mistake, and even ending was reached. The 2011 ACT Junior Championship was a tough affair, with the title being decided by a playoff game between Wenlin Yin and Willis Lo. At the end of 9 rounds Yin and Lo were tied on 7.5/9, with their Round 4 game being drawn. Yin won the playoff game to capture his first ACT Junior Championship. Third place was shared between Alana Chibnall and Casey Baines. Baines was the only player to defeat the new champion, while Chibnall defeated WFM Megan Setabudi in the final game to finish. The tournament cross table can be found here. Someone could make a degree of money by offering a backup service for players opening databases. If you haven't seen the news, Ivanchuk was robbed just as he was leaving Sao Paulo, on his way to Bilbao for the second half of the Grand Slam Masters. The initial coverage focussed on the act itself, and whether Ivanchuk would be able to play the second half of the tournament, but a few news stories also reported that his laptop was safe! Over the last few years I've seen other stories like this, where the theft of the laptop (or more importantly, the data on the laptop), was the critical act. Radjabov even withdrew from the 2007 Linares event after his laptop was stolen before the start of the first leg in Mexico. So putting you 'secret' files in the cloud might be the way to go, assuming they can remain secret. Maybe this could even be a successful subscription service to a technical savvy chess entrepreneur. There is a school of thought that online chess has caused a decline in numbers, both in chess clubs and week end events. The other side of the argument is that online chess actually increases the numbers that play chess, by preparing them for the next step. Without a proper survey I'm not sure whether either point of view is entirely correct, but I am sure that the number of people online far exceed the number of face to face tournament players. On one chess server I play on, there are at least 80,000 players registered from Australia, which far exceeds the number of players on the Australian rating list. Of course some of those players are just casual/fun players, but I wonder how many consider themselves more serious than that. Is it the case that they don't have the opportunity to play club or tournament chess, or simply that they don't want to break out of their comfort zone? Having struggled with various versions of TOMA (DGT's game broadcasting software) over the years, I am pleased to see they have released a completely new software package to handle this task. Replacing Toma is DGT Livechess. It is written in Java and has the benefit of being able to run under MacOS X and Linux, as well as Windows. The other important feature is that is is free to download and use. So far I've only tested it with a single board, which even works via my Serial-to-USB connector, but I would be interested to test the behaviour with multiple boards. It did take a little bit of menu surfing to get everything to work properly, but having done so, it seems easier than under the old software. DGT Livechess is available from the DGT website at this link. There is also a web page which gives quick getting started instructions, with the promise of a full manual in the near future.